The holiday season is here and that means it’s time to decorate. Get into the holiday spirit by unpacking your favorite items. This is a great start to begin the holiday fun. You’re sure to find great holiday memories and you’ll be able to get an idea of what you have and what you would like to add this year. Perhaps you’ve moved to a new home or have recently reorganized your living space. That means you’ll have new areas to decorate. You can shop for new decorations or better yet, create new ones. Adding to a holiday collection is always fun. 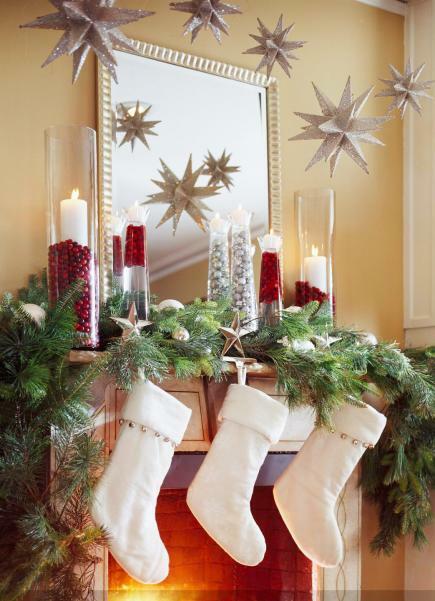 Here are ten great ideas to help make your home a festive wonderland. The holidays should be fun filled with magical moments and laughter. Bring a bit of fun to your yard with these outdoor decorations. 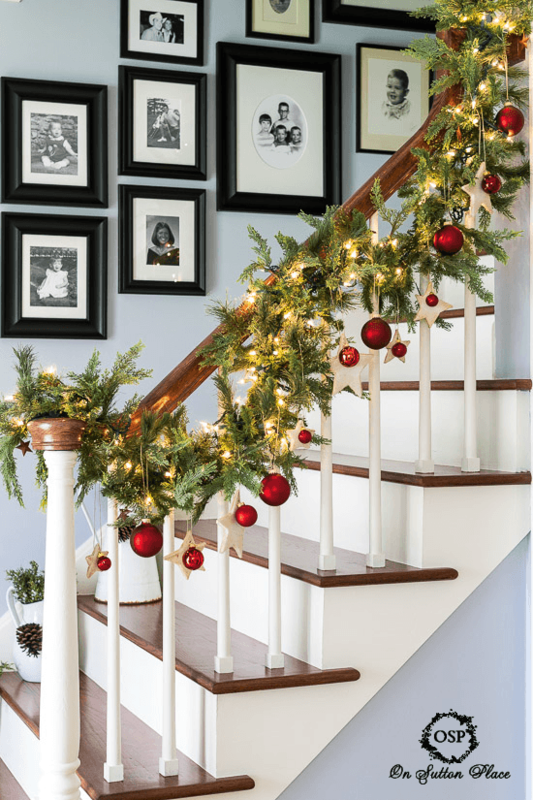 Ann Drake of Life on Sutton Place did an outstanding job bringing warmth to her home by decorating her banister with garland, lights and ornaments. It looks elegant and with little effort. 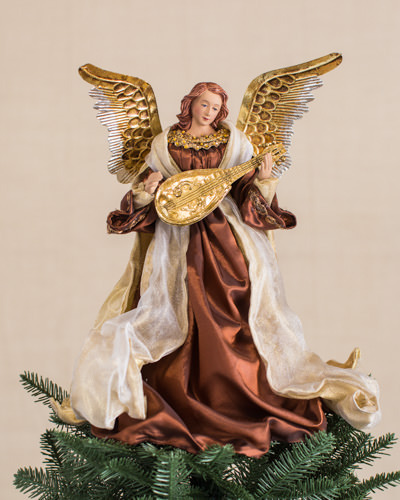 You’ve spent the time finding the perfect ornaments; complete your tree with an elegant tree topper that will bring it all together. Balsam Hill has a wide selection to choose from that we love. The centerpiece of your table should reflect your style. Do you like classic decorations or bright glittery designs? 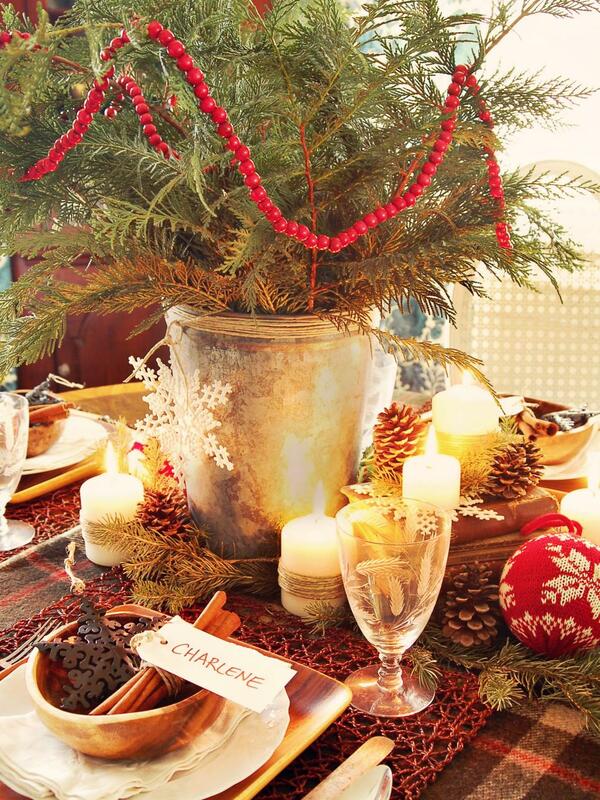 Will you choose a small centerpiece or a large one? HGT has a great photo gallery with options. 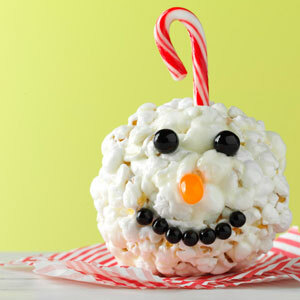 Bring some fun into your decorations with these edible ornaments from Taste of Home. You’re sure to find a sweet idea you’ll want to make. 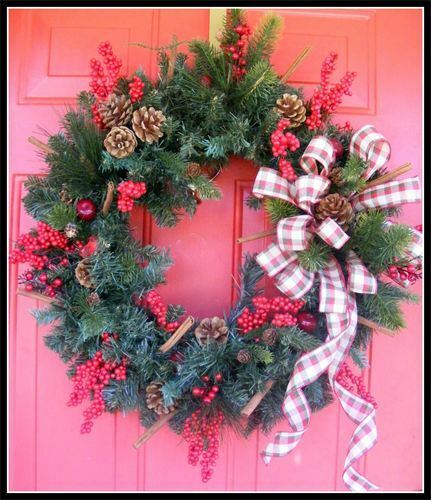 Welcome your guests with a beautiful wreath hanging on your front door. You can make your own, purchase an inexpensive one or buy a luxuriously handcrafted wreath. Petal Pusher’s Wreaths and Designs has a great collection of festive wreaths to inspire you. The fireplace is the center of the home, full of warmth. Sure you can just hang your stockings and be done with it, but adding garland, lights, holly or scented candles can really improve the space. Here are a few ideas to get your creativity going. 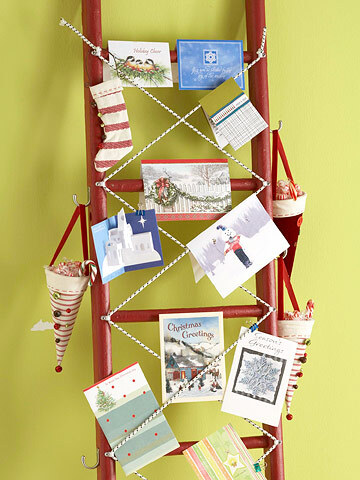 Better Homes and Garden has a few creative ways to display your holiday cards. How do you usually place your holiday cards? Consider some of these fun ideas this year. 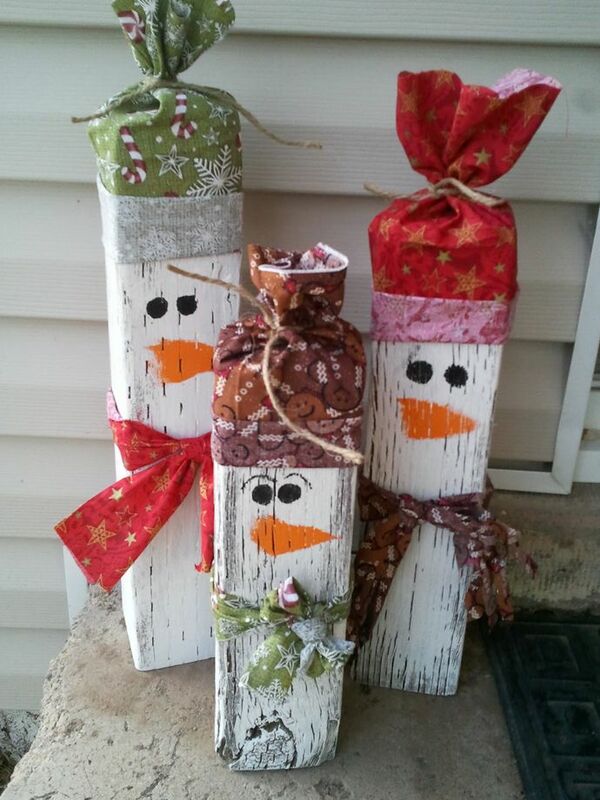 Get them into the holiday spirit with fun crafts appropriate for their age. Parents.com has a great selection of age appropriate crafts to make with children. 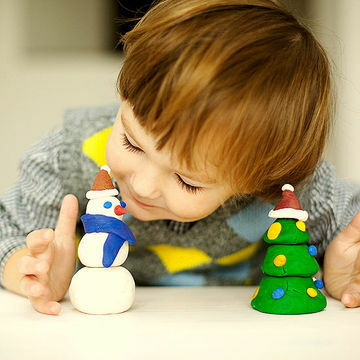 You’ll find wonderful ideas to get the kids truly in the holiday spirit. Crafts aren’t just for kids. 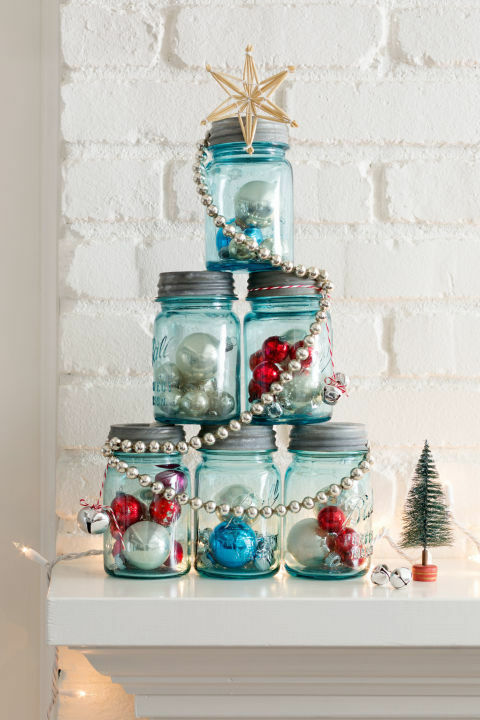 Put a personal touch in your decorations with some DIY ideas. Still need some holiday decorating ideas? 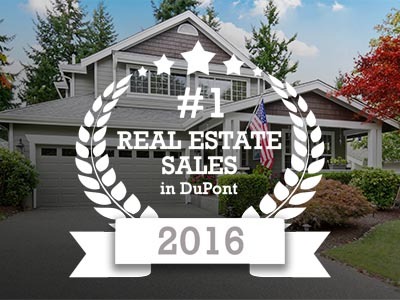 You’ll find plenty at House Beautiful.